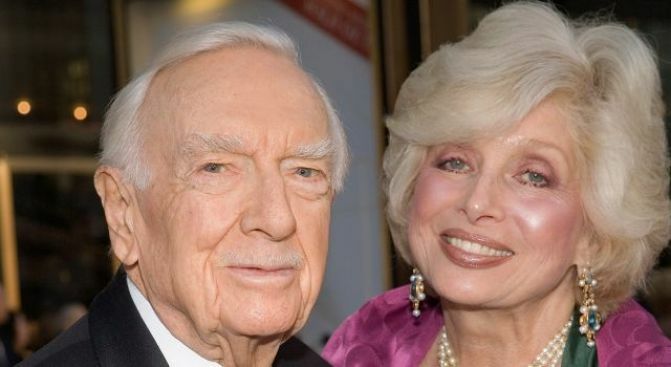 Cronkite Was "The Love of My Life"
Joanna Simon calls Walter Cronkite the "love of my life." Most of us called him Uncle Walter, but Carly Simon's big sister called Walter Cronkite her boyfriend for the final four years of the legendary newsman's life. "He's the most extraordinary man I ever met, and he was the love of my life," Joanna Simon told the New York Daily News. Simon, a real estate agent, met Cronkite when she sold him and his wife an apartment in her United Nations Plaza building. Some time later, when both of their spouses died within months of each other, the two began dating. They spent summers together at Martha's Vineyard and sailed up the coast of Maine, said Simon, 68. "My entire life with Walter gave me such great joy," Simon told The News. "Now without him, I'm kind of at a loss as to what to do with the rest of my life." Cronkite, 92, died Friday after an extended illness. He will be buried in Kansas City, Mo., on Thursday. There will be a public memorial for him next month at Lincoln Center's Avery Fisher Hall. Simon said she is in close touch with Cronkite's three children as they grieve. "I go through waves," she said. "Sometimes I'm okay. Sometimes I just want to turn the clock back."